Even if you clean your stovetop after every use, it’s easy to overlook spills that fall through your stove’s metal grates. And not all cleansers are created equal. If you are wiping down your stovetop with a cleanser that isn’t breaking down grease and grime, it can build up over time leaving your stovetop with caked-on splatter and drippings. 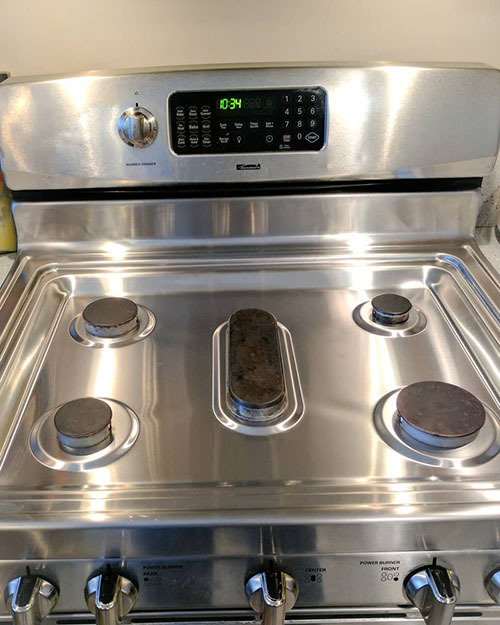 The first step in deep-cleaning your stovetop is to remove the burner covers and knobs. Scrub these items in the sink with Bar Keepers Friend and then soak them in hot, soapy water. While our traditional powdered cleanser is a powerhouse in the kitchen, for greasy messes, we recommend our Cookware Cleanser & Polish because it has extra surfactants, which help to break down and remove grease. Apply BKF with a non-scratch sponge or soft cloth, washing it off after one minute, and reapplying as necessary. 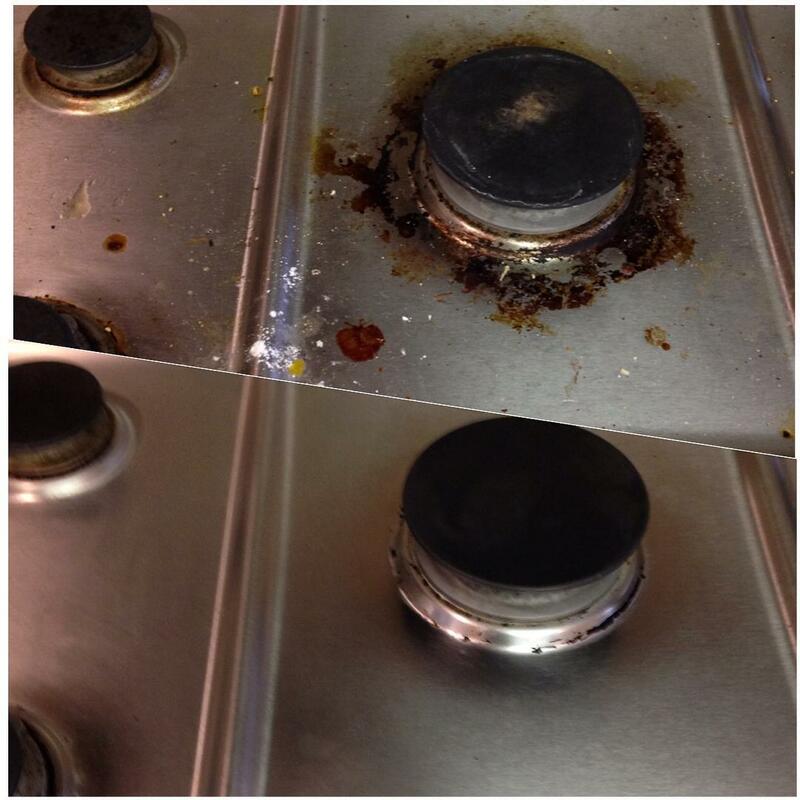 Don’t leave BKF on the surface for longer than one minute at a time, especially on stainless steel stovetops. Once you have cleaned your stovetop, rinse and dry the removable parts and replace them on your stove. Now, step back and appreciate the results of your efforts! To keep your stovetop looking its best, make cleaning it thoroughly after every meal a priority. A few dedicated minutes cleaning with Bar Keepers Friend’s MORE Spray + Foam after dinner can save you a lot of time in the future. Katelyn, from What’s Up Fagans, demonstrates how she cleans her gas stovetop using Bar Keepers Friend. 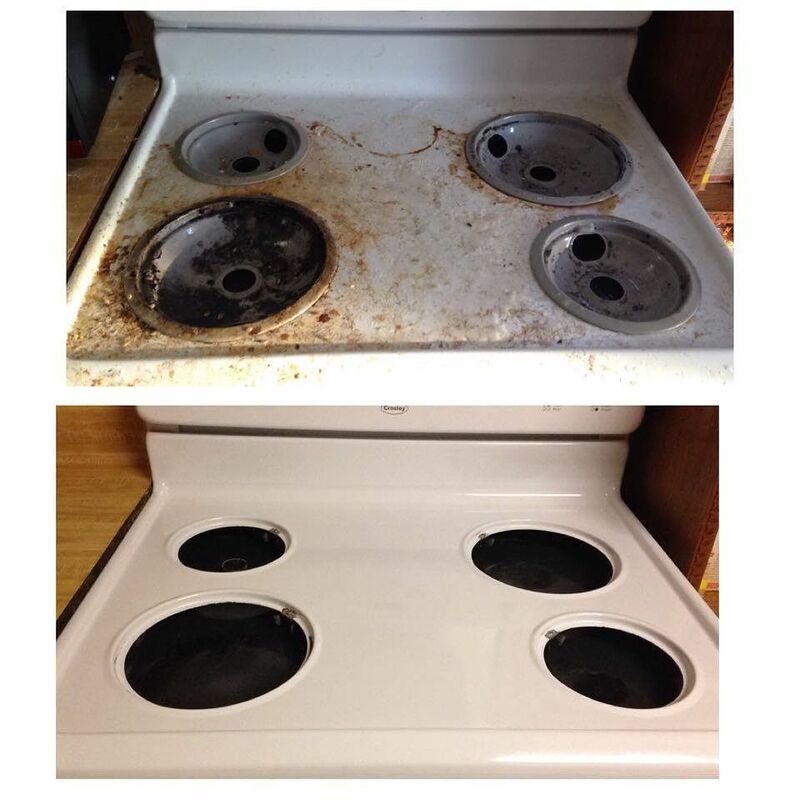 Check out her blog post “How to Efficiently Clean Gas Stovetops, Burners, and Grates” for all of the details. I thought I ruined a stainless steel top on a stovetop grill by accidentally turning on the grill on. The cover was dark and stained looked horrible. Bar Keepers Friend polished it up to look like new! Wow, what a great product. Thank you !!!! Greasy mess on stove cleaned off in minutes! I had been trying different products for years. A friend told me about Bar Keepers Friend and BAM! Clean as the day we bought it. Dirty greasy stove turned shiny after using BKF! 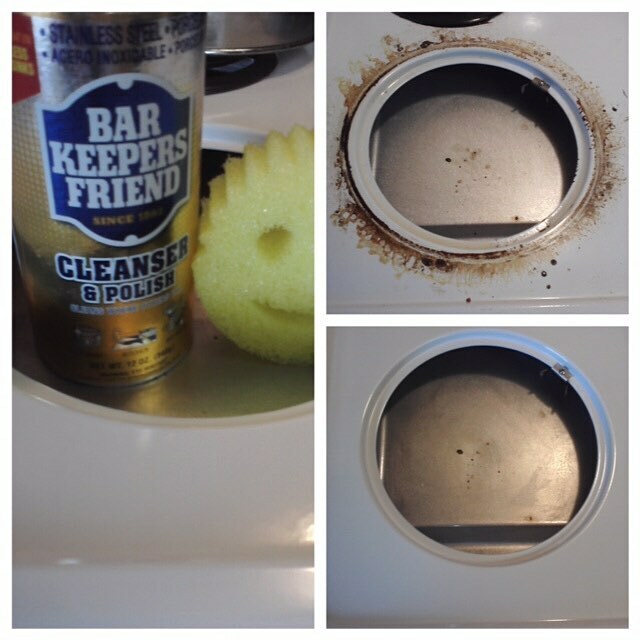 10 years of cooking spills, baked on, practically cured into the enamel...my hubby swore up and down there wasn't a product on the planet that could clean it, but after reading about Bar Keepers Friend, I gave it a try. All my hubby could say was "OH MY GOSH. What on earth did you use? ?